Uniformity and dependability are important in the military and tactical industries. That’s why injection molding is ideal for creating plastic tactical products and merchandise. Getting high quality is all about design and the material you use. Our team of experienced designers know what it takes to get a high quality plastic product or component. At Superior Plastics, we are ISO 9001:2008 certified for defense industry injection molding. We maintain quality services for your products that service men and women can depend on. Plastic is perfect for many products in the tactical industry. It is light weight yet durable. It doesn’t conduct electricity like metal so it keeps customers safer. Whether your business is in plastic canteens, headsets, or totes, plastic gear injection molding will keep your product efficient while on duty. Superior Plastics is able to help you decide the best material for your product. From prototype to production, we can help your business succeed in the tactical industry. Defense industry injection molding plastic can create many small but extremely important products like hooks and fasteners for backpacks. Design integrity is crucial for your product to be a success. Let us at Superior Plastics work with you to come up with a design for your product that will hold its own on a mission. Police officers, security personnel, and outdoor enthusiasts depend on their equipment to keep them alert and aware of their surroundings. Plastic components and parts are often used in flashlights and scopes of many kinds. This keeps them rust proof and protects the delicate parts inside. Superior Plastics uses tactical injection molding to design and produce these parts and components. Using our specifically designed molds and quality plastics, you can be sure that your business is only selling the best products. 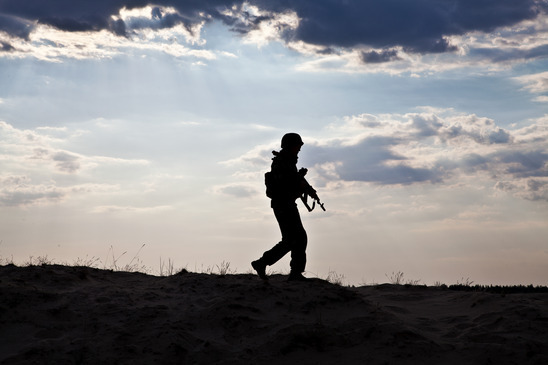 Many people in the tactical and military industry find themselves in extreme conditions. Your plastic products and components need to be able to withstand extreme situations. Our design team has experience in engineering products with strength under pressure in mind. Our military injection molding services ensure that your specifications are carried out exactly. All of your products will come out looking exactly how you expect them to be. If you are using our tactical injection molding services to produce parts to an even bigger product, you can be sure you will get the exact specifications you require. At Superior Plastics, we help create top performance products for our military and service personnel. We know uniform and dependable products are important for these industries. That’s why we put everything we have into delivering high quality military injection molding services. Contact us at (817) 882-9595 today to see how we can help your company with production!